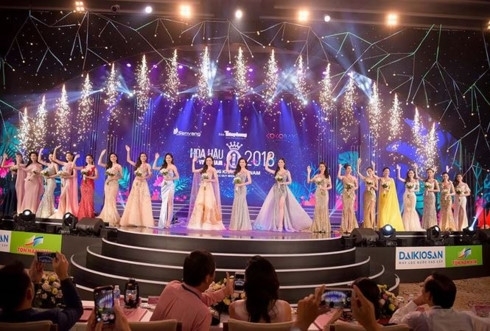 The final round for the northern region’s Miss Vietnam 2018 pageant will be held on July 12-22 in Cua Lo coastal town in the central province of Nghe An, according to the organizer Tien Phong (Vanguard) newspaper. The preliminary round for the northern region is set to get underway on July 8 at the headquarters of Tien Phong newspaper at 15 Ho Xuan Huong Street, Hanoi. Qualified contestants will travel to Cua Lo, Nghe An Province on July 11 to compete in the final round for the northern region. Previously, the final round for the southern region of Miss Vietnam 2018 took place from June 13-23 in FLC Quy Nhon, Binh Dinh Province. Nineteen contestants were selected to progress to the national final round scheduled for September 8-16. Those 19 contestants are currently carrying out charity projects to assist disadvantaged people in the southern region. The winner of Miss Vietnam 2018 will be awarded VND500 million. The first and second runners-up will receive VND300 million and VND250 million, respectively. 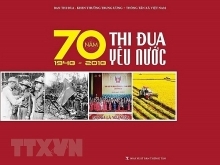 Nine subordinate awards will be presented with a value of VND50 million each. The winner of the Beauty With A Purpose competition will be given VND100 million and will be assured of a place among the five finalists.